Often in the periods when there are so many interviews, many repeat the usual questions, so it happens that once you read an interview, you don’t find anything new in the next one. But I found this interesting interview that dates back to 2016 when the GRANDE AMORE Tour began which developed between Italy, Europe and America. It is a very interesting interview that concerns the fine-tuning of the concert, it is very long and technical, so I have translated only the non-technical parts. I liked the opinion that is sometimes expressed on the boys and the final opinion on the entire show released at the end of the interview, by the journalist. The interview was done for the Sound & Lite newspaper. They call this “Pòpera” this resurgence of opera in the field of popular music and is a phenomenon that, in our humble opinion, returns a little faith in the ability of the general public to discern a true capacity for musical performance … because, taste apart, the talent and work necessary to develop virtuosity with the lyric voice as an instrument are undeniable. So far, in this latest return of classical singing, the foreign public has been more receptive than the Italian. IL VOLO became the first Italian group in history to directly sign a record deal in America, before that in Italy. Since the release of the first album, this trio has been almost constantly on tour in North America, South America, Europe and Italy. In 2012, in addition to a tour in Latin America and the Il Volo Takes Flight tour in the United States, the group also acted as shoulder on the American dates of a very rare (and very successful) tour by Barbra Streisand, which cemented their fame in the American pop. Since then, every year we saw at least two Il Volo tours on at least two continents. 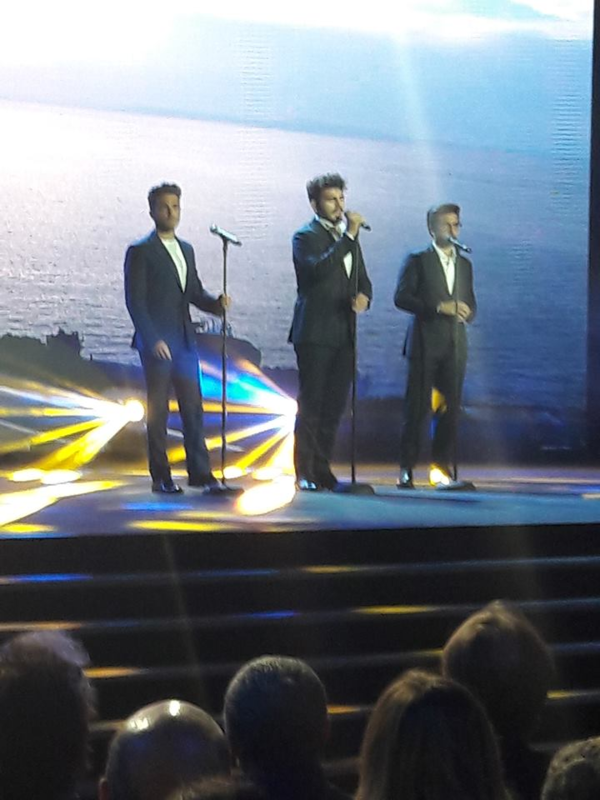 Having been taken away in America at the very beginning of their career and despite a large number of concerts in Italy, until the beginning of last year with the almost fortuitous victory of “Grande Amore” at the Sanremo Festival and with the consequent representation of Italy in the Eurovision Song Contest (third place, but with the prize of the press), Il Volo was still rather unknown in our country. 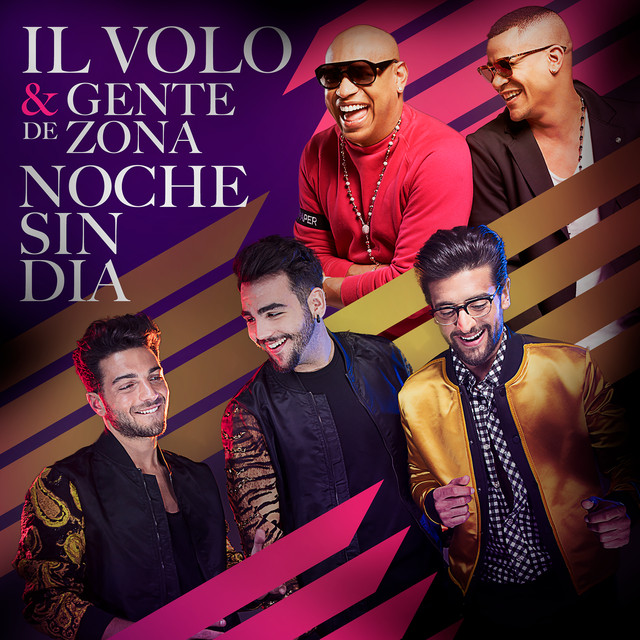 2015, on the other hand, marked the true return to the homeland, with their new album Sanremo Grande Amore which earned a triple platinum record, and a very successful summer tour, culminating in a big event at the Arena di Verona in September , re-transmitted in prime time on RAI 1. Well … better late than never: welcome home, guys! We crossed this tour more or less halfway, on a date at the Unipol Arena in Bologna, where we found the production manager, Eliana Dalila Biondi. In Italy and the United States with the entire production, while in Europe with local production materials, even if we bring the direction, anyway with us. Is this production a big leap forward compared to last summer? Yes, also because that of this summer’s fundamentally focused on natural scenery: Taormina and other picturesque places where there was no need for much. The guys really don’t need much … they do the show. The boys already seem very good at keeping the stage with professionalism! They are very confident of their abilities, in the positive sense, so they are never arrogant. They’ve been doing this job since they were 14, so they grew up on music and stages. They have that security dictated by experience. On stage they create a very nice atmosphere, thanks to their jokes and complicity with the public: they are things created over time and in many live performances. How many are you on tour? About sixty, and if we add the orchestra of as many as 34 elements in each city … we arrive at a beautiful number. Are the orchestras different at each stage? Unlike last summer, where there was always the same orchestra, this year due to a calendar issue we chose to take local orchestras. Logistically, for orchestral music rehearsals, how do you do it? There is a lot of work that is done upstream. All the material of the repertoire is collected, and our musical director sends it in advance to the orchestras who do the tests independently. Then there were also rehearsals with the Maestro who, whenever possible, anticipated the production to be able to listen and guide the orchestras before the concert … maybe even the morning of the show or, even, in the case of back-to-back long, a few hours before the concert! I ask Alessio Guerrieri, stage director, if it is difficult to manage, such as artists, Piero, Ignazio and Gianluca. Absolutely not. Indeed: they are very good. They are not used to doing great tests … in fact when Francesco De Cave arrived, who was new to the production and was planning the show, he asked me: “But how will we explain a show to him in two days?” I reassured him by telling him that he had to do only the lineup and explain the dynamics of the show: the artists would do exactly what was required of them, and every time. In fact they come from a lyrical musical setting and training, so they have a completely different kind of discipline. Since they have to do a precise warm-up routine, they have to eat and do everything according to a fixed schedule. If the show is at 9pm, for example, you know they have to eat at 6pm, and they do the same things every day. They are very square and this is our luck. It is also important as a form of respect. If they give me the time of the show, I send the orchestra at 8:55 pm and the artists are on stage at 9:00 pm. To date we have never started a minute late. They are very professional and attentive to these things. And I assure you that it is not at all obvious. Very much of course for classic songs. They are songs that the singers sing singularly (in fact they don’t always sing in three, but they also make duets and solo pieces) mostly on classical works that almost completely depend on the orchestra and the piano. We also ask the lighting operator for an opinion. “In the show there is a good balance between the most static scenes, used on classic, beautiful, colored pieces, developed in depth along with the video, and the more dynamic ones of the pop songs, in which we also push a lot, because we have projectors able to move the scene a lot. The pieces of the solos, which are almost all purely lyrical, are in fact illuminated with very static and intimate, almost theatrical scenes. When there are the pieces in trio, plus pop, there is a director behind them and the director has also coordinated and agreed the movements of the artists on stage. Despite my personal tastes, I respect the musical talent of any kind without reservation and I appreciate a majestic performance of any kind. I didn’t know Il Volo before and when I was told what kind of concert it would be, I was very afraid of having to suffer the evening. Instead it is a really pleasant concert. It was taken for granted that the boys were good at singing, but the lineup includes so many songs with an almost universal familiarity that the interest never drops – even during the moments of speech, in which the artists show total control of the stage and the audience . I am amazed by the audience, made up equally of teenage girls and elderly men out for an annual evening, often with the two categories combined in groups of grandparents with their grandchildren: universal appeal! The mix is very well done, with an orchestra that even seems to come from recorded tracks (called as a compliment!) and a very sensitive hand in following the dynamics of that type of voice taken with handheld microphones. The sound in the room is very beautiful, especially in the platea (the central and lower part of the theater). We believe that a couple of delays would not have done any harm to offer a greater direct / reflection relationship at the back of the room. The visual spectacle is truly remarkable. The effect of the video that comes out and incorporates the orchestra is really effective. The inevitable central staircase to the Broadway, with skyline in LED, immediately imposes the tone of the show, but it is anything but a static set design. Even the light design is very flexible: sometimes it offers bandstand show lighting, with colorful or white scenes combined with graphics and lights, in others it looks like a pop or rock music show with backlight. Congratulations. Even if it was news, a little technical and related to the tour already happened, I hope this interested you. I was pleased to read the admiration there is towards our kids, from the technical team that supports them on their travels. It is a very important thing and makes us understand the harmony in the team, also due to the seriousness of Piero, Ignazio and Gianluca, guys sometimes jokers, but also real professionals.